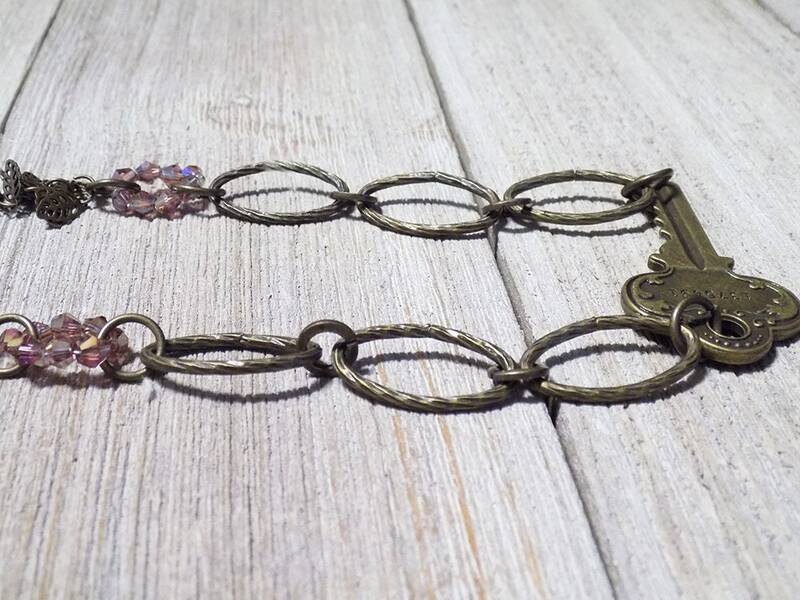 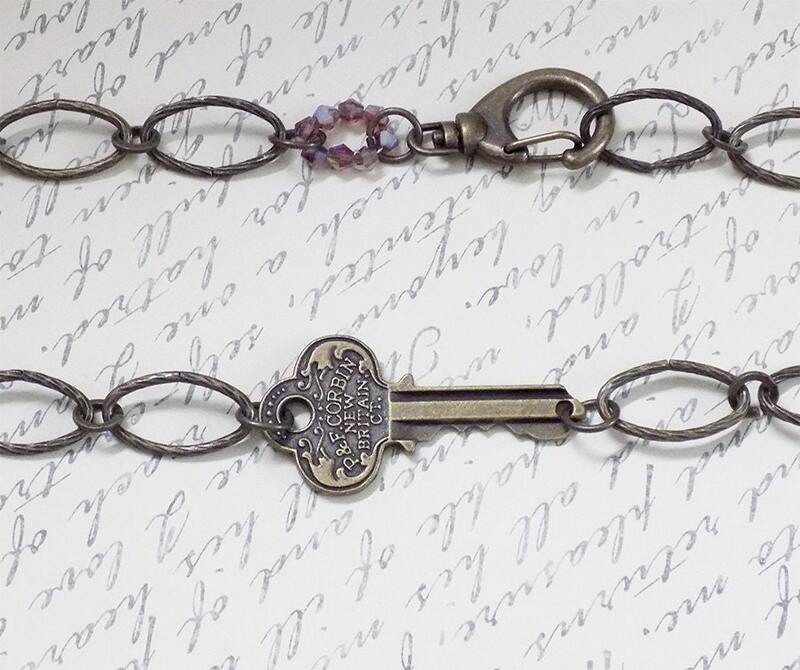 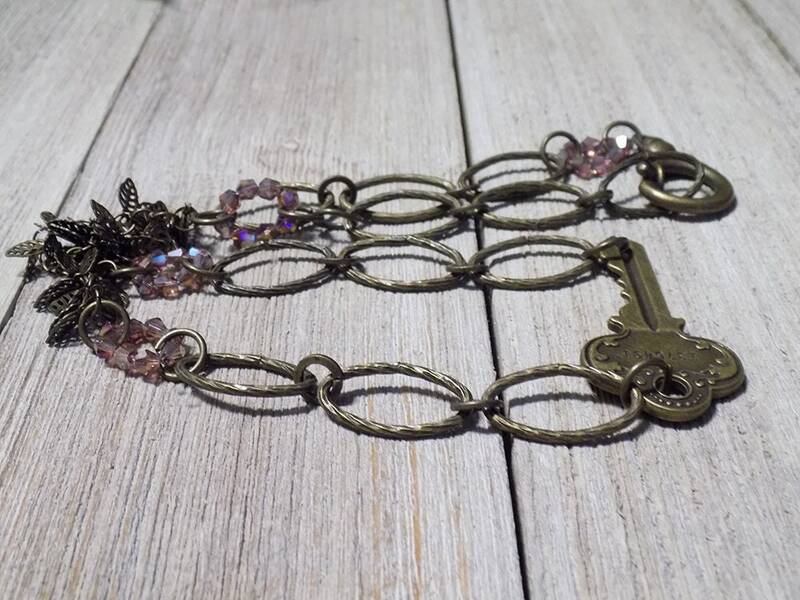 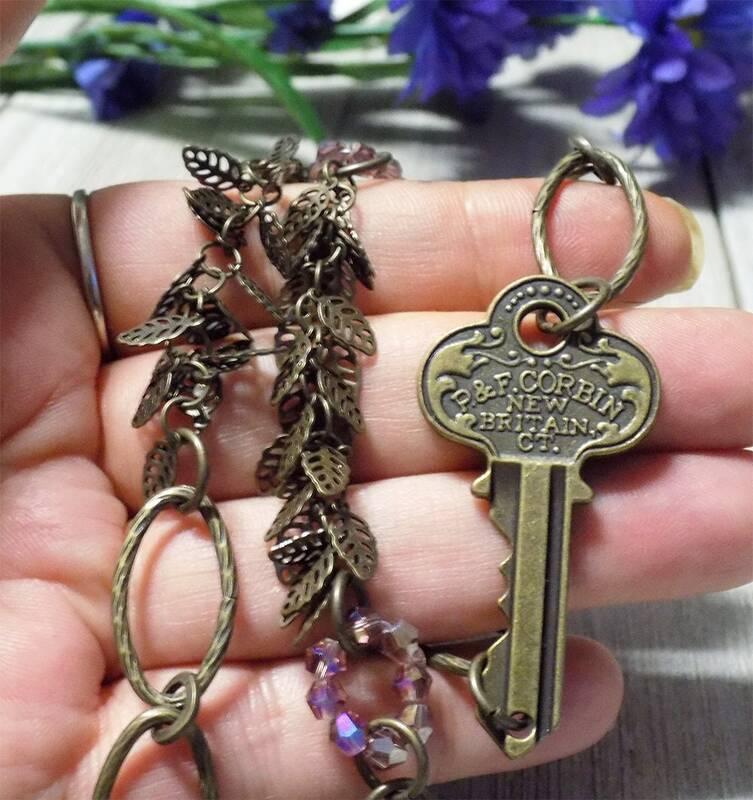 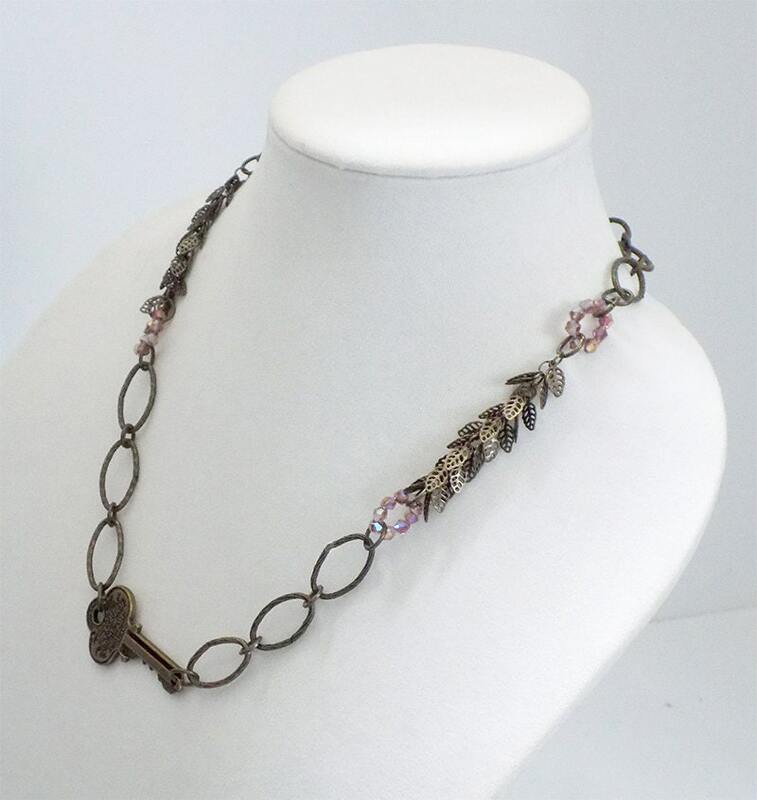 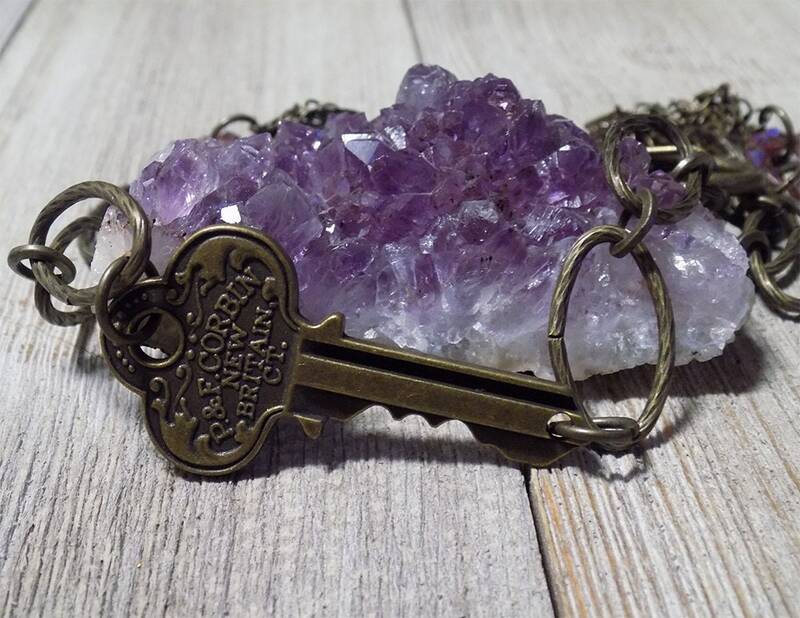 This unique necklace features and old key at center attached with large link chain that is adorned with leaf clusters and circular purple faceted beads in the middle. 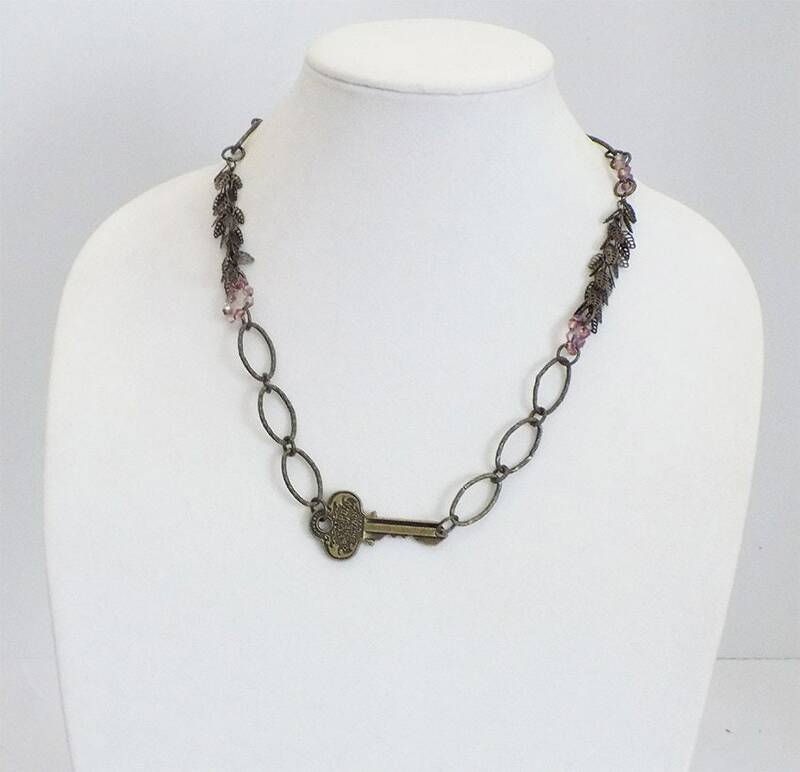 The chain is in an antique bronze tone and closes with a large lobster clasp at the back. 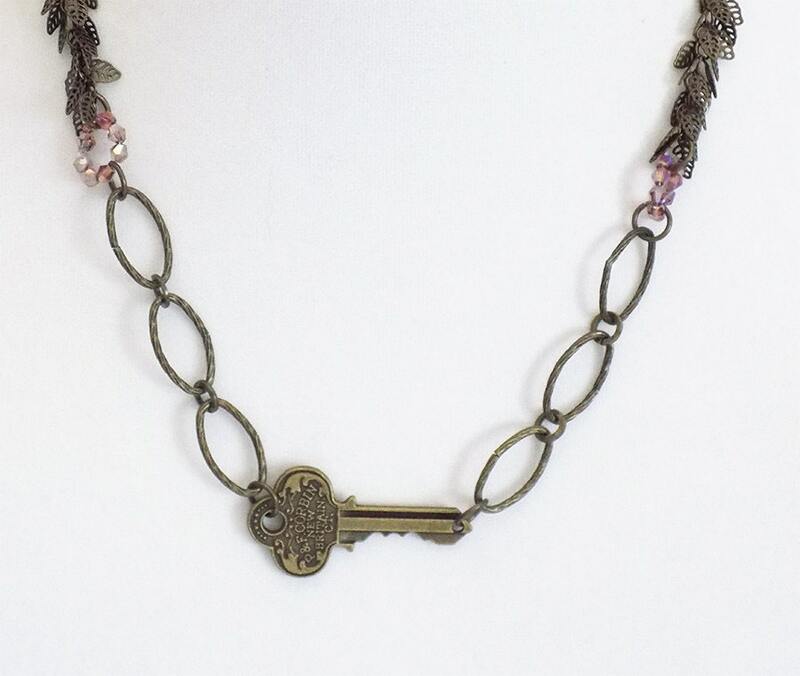 The necklace measures approximately 20' and could be adjusted to shorted lengths if desired.